This is a 2.4 litre, high torque Honda 135hp outboard engine that is an extra long shaft (25″), electric start, power trim and tilt, 12volt/40amp alternator, control box model. 6 years warranty (2 years for commercial users) and includes many unique features and user benefits including free RYA level 2 powerboat training. TROLLING CONTROL (trolling speed control selected in small increments) VAIS (Variable Air Intake System) Increases low end power and increases low speed torque for acceleration purposess PGM-FI (Programmed Fuel Injection) equals great fuel economy. BLAST (Boosted Low Speed Torque) amplifies torque by optimising the amout of fuel supplied combined with ignition timing during rapid acceleration. NMEA 2000. (national marine electronics association) Allows communication between marine engines and devices such as depth finders, nautical chart plotters, navigation instruments, tank level sensors etc. Comes with: Basic flexible rigging package. Side mount control box, harnesses,Fuel line , Battery leads, Tachometer and trim gauge, a choice of 3 blade alloy propeller ,Tool kit, Owners manuals. Rigging kits can be upgraded to include different controls, more gauges, longer harnesses, stainless steel propellers and rigging hose covers. For more information please feel free to give us a call on 01475 744 21500 The price includes FREE shipping, and VAT. 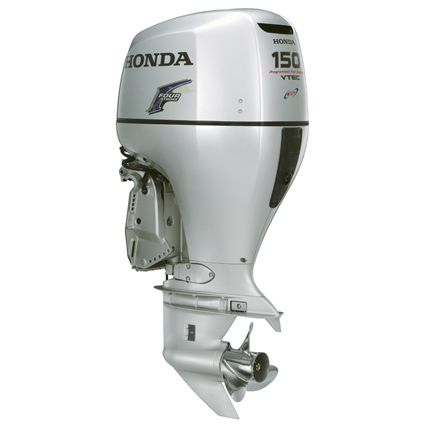 Followed by a call from one of our certified Honda outboard engineers within 48 hours of delivery.